Grease stains can be disheartening. When it comes to oil smears and dirt marks on denim, lipstick stains on an antique hankie, or the dreaded stains from sunless tanning products on your sheets, it can feel like there’s no hope. We’re here to tell you otherwise. Where there’s a will (or a spill), there’s a way! Apply product: Our %%Wash&StainBar.jpg | Wash & Stain Bar%% is ideal for removing grease-based stains. Work the stain: Create a lather using the soap and gently work it into the material. Make sure to use hot water. Soak up to 30 minutes: Soak item in a basin filled with hot water. For old, stubborn, or large stains, add a capful of our %%32oz_AllPurpBleachAlternative.jpg | All-Purpose Bleach Alternative%% to the basin. Using bleach: We don’t recommend using chlorine bleach on stains or odors, ever. Not only does chlorine bleach deteriorate, degrade, and weaken fibers, it’s not color-safe. In fact, it can cause whites to yellow and make certain stains even worse, such as rust stains. Instead, we use %%32oz_AllPurpBleachAlternative.jpg | All-Purpose Bleach Alternative%%. 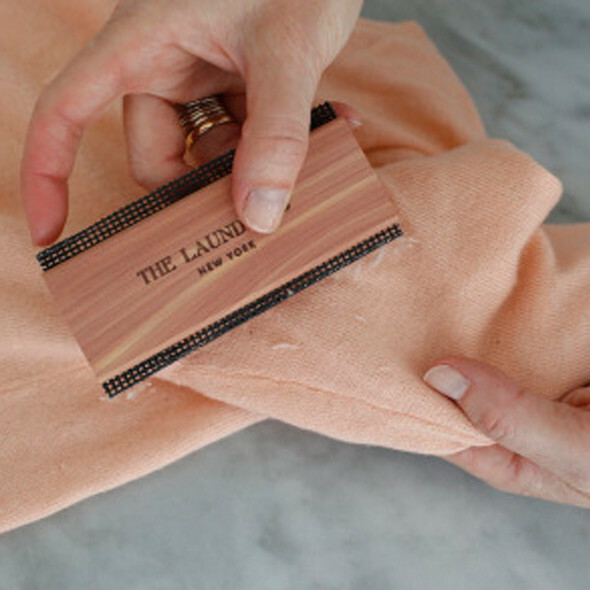 Like all products by The Laundress, it’s color-safe.